I wouldn’t be the first critic to note that the real mystery of Agatha Christie’s “The Mousetrap” is not who killed the hateful houseguest (who seriously had it coming) at Monkswell Manor in East Midlands, England, 1952 … but rather why this wooden, cliché-ridden whodunit is still packing ’em in, in the London of 2014. The sixty-two-year run is the longest in history, far outlasting far better works. A detective might guess that the play’s longevity reflects its function as a low-level, easy-access secret society, making each viewer who manages to stay awake to the end a member of the Mousetrap Illuminati, pledged in the name of Dame Agatha herself to silence regarding the killer’s identity. That touch of freemasonry, plus the London producers’ genius for publicity (one early cast member was married under an archway of mousetraps), long ago turned this mouse of a play into one of the great tourist traps. To be fair, the Northlight production has its positives. Parking is ample and free, Jack Magaw’s set is a beaut, and most (not all) of the accents are passable or better, thanks to the tutelage of dialect coach Eva Breneman. Izumi Inaba’s costumes, too, are spot-on in their genteel postwar dowdiness. All that’s missing is an interesting story and engaging characters. Under Jonathan Berry’s reverent and literal-minded direction, the performers—including Cora Vander Broek and Keith Neagle as the innkeepers; Joey deBettencourt, Laura T. Fisher, Patrick Clear, Lindsey Pearlman and Joe Dempsey as the guests/suspects; and Greg Matthew Anderson as the sleuth—fight their way bravely through the thickets of exposition-heavy dialogue. The play exudes a sense of effort, as though the cumulative fatigue of the 25,000 (and counting) West End performances had somehow leaked through to Skokie. And that’s the point, really. 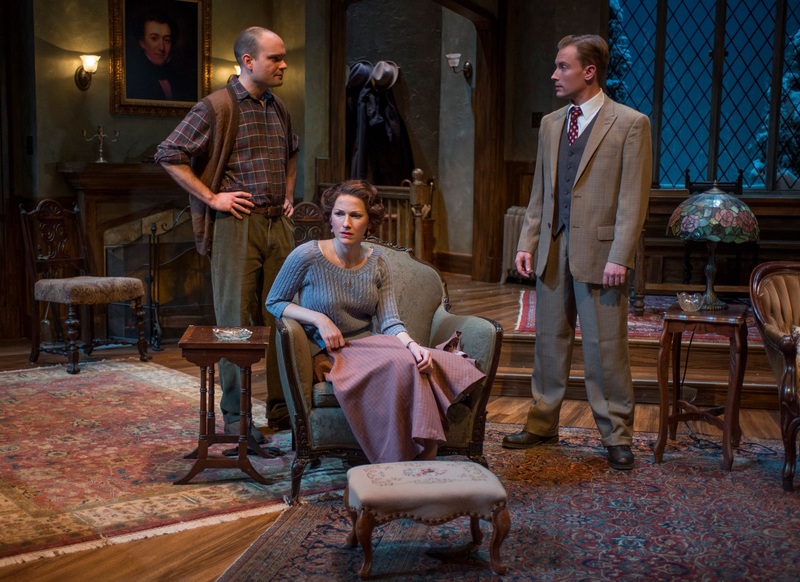 “The Mousetrap” isn’t exactly a play—it’s a ritual and a pilgrimage site. Like the Wisconsin Dells or Madame Tussaud’s, this play doesn’t travel. Its oddly appealing, frozen-in-aspic quality can be appreciated only on its home turf. Artistically speaking, the only hope for this creaky, slighter-than-air drama is to play it for laughs. But director Berry chooses not to go there. So we’re left wondering at the end what we’ve just experienced: A postmodern practical joke, delivered with a straight face? A London theater tour without the jetlag? An initiation into the world’s most trivial cult? Northlight Theatre, 9501 Skokie Boulevard, Skokie, (847)673-6300, northlight.org. $25-$78. Through December 14.